Today’s insurance customers have moreproduct choices than ever before andeasier access to information on differentofferings via the Internet. They want products that are flexible and innovative,service that is more efficient, and a widerange of distribution channels. 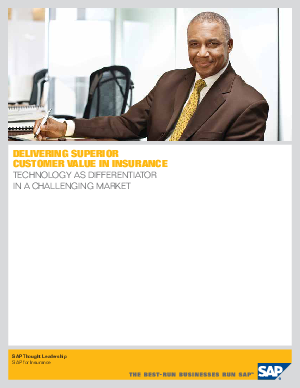 Standing out from the crowd hasbecome more difficult for insurers,however. Poorly planned use of contactcenters has often resulted in genericservice that reduces the potentialfor differentiation. At the same time,the Internet has helped to shortenthe life cycles for product andservice innovations.